After successful development of the measuring scale, and putting it online at https://docs.google.com/forms/d/e/1FAIpQLSdAMrug6I4mWcA9bJAGcFOfnDdd9m8ZPaoe8E1Y0MuWajL7dw/viewform , all partners of the project started interviews with local entrepreneurs. During this phase, the reasons for SMEs failure are collected. This data will be used in the subsequent phase to analyse the most important factors and to do comparative analysis between EU and non EU economies. This results will be the base for joint publications and discussions at the round table event, that will be organized in Bor (Serbia) i the period 26-26th of May 2019. The details will also be presented here. The agreement is that all the teams from V4 institutions and Serbia, should translate the questionnaires in their own language and to start collecting the responses from the entrepreneurs. It is agreed that each research team should collect minimum 100 responses. In this population, there should be approximately equal number of micro, small and medium sized firms. Deadline for this activity i agreed to be April the 30 2019. Collected responses, should than be entered in the joint database (online tool). After collecting the responses and forming the database, statistical analysis will be done and reported created, which will enable detection of the most important factor for SMEs failure. This factor will than be used to develop the measures to be offered to active entrepreneurial ventures, to avoid potential failure. 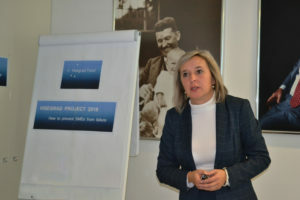 The initial meeting of all project participants was organized in Zlin in the Czech Republic. 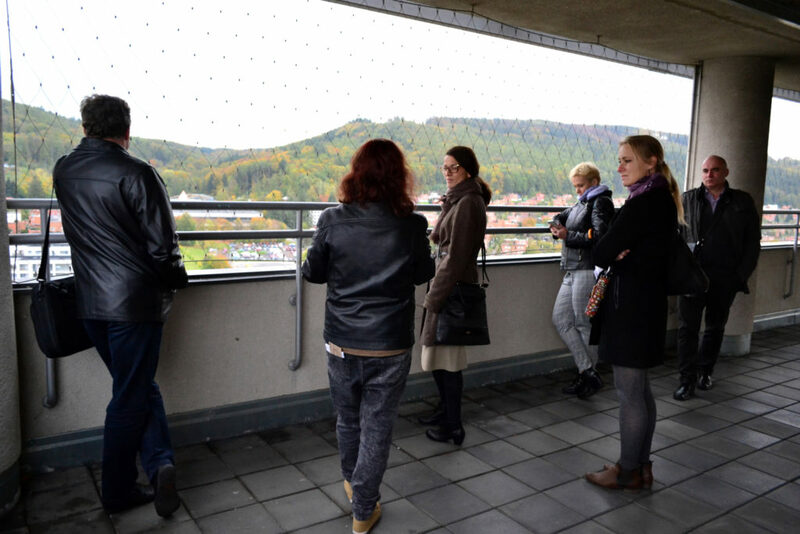 The meeting was organized in the period 23 – 26 October at the University Tomas Bata in Zlin. 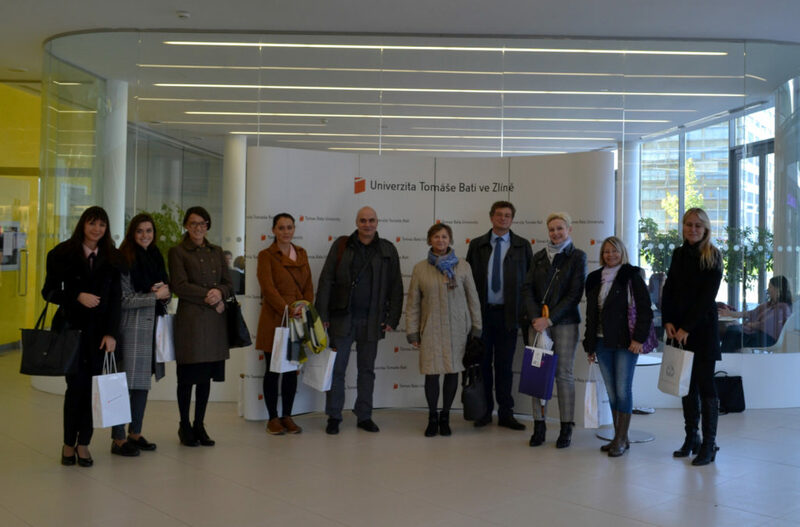 The representatives of academic institutions (up to 3 teachers and one PhD student) from all partner countries (V4 countries and Serbia) have visited the Tomas Bata University in Zlín in Czech Republic. The following topics of meeting and the workshop were dedicated to discuss the main reasons for the SMEs failure. There have be some examples of failed and recovered SMEs from V4 countries and Serbia. All presentations, from all project partners will be available here soon. As the next activity of the event, the framework for future research have been defined. 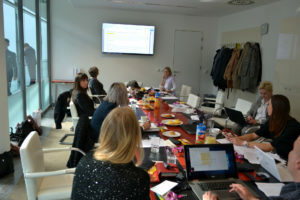 Elsevier training . 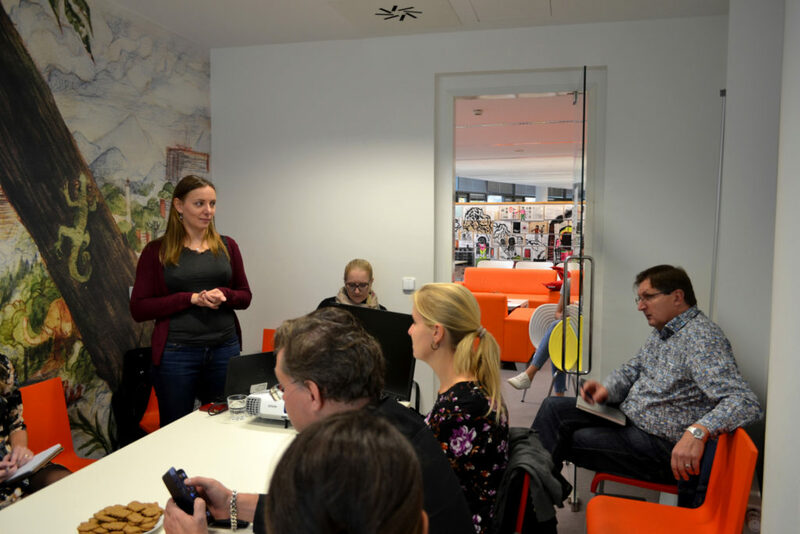 This training was facilitated by Katarzyna Gaca-Zając PhD Eng, Customer Consultant for Central and Eastern Europe, ELSEVIER | Research Solutions Sales. This training was important for the project participants, having in mind that the final results of the project will have to be published in some high quality journals and monograph. The traininbg was organized by the host university from Zlin. Dr. Denisa Hrušecká, from University Tomas Bata in Zlin (hrusecka@utb.cz). Some photographs and detailed report from the event, will be available here, after the meeting in Zlin. International research project “How to prevent SMEs failure (Actions based on comparative analysis in Visegrad countries and Serbia)” is financially supported by the Visegrad Fund – link. The serial number of the project is 21820267. Background: The project is organised under leadership of the Engineering management Department – EMD (http://emd.edu.rs) of Technical Faculty in Bor http://menadzment.tfbor.bg.ac.rs/english, University of Belgrade. The project includes analyzing the present situation of the failures of SMEs and their potential recovery in Visegrad countries (Slovakia, Hungary, Czech Republic and Poland) and in Serbia. In well developed countries, failure of previous businesses is usually taken as positive experience of entrepreneurs. This way, it doesn’t influence the ability to receive new grants and/or credits from adequate financial institutions. In case of Balkan region, especially in Serbia, entrepreneurs who fail usually are limited in potential monetary sources for new business. Once they fail, nobody wants to invest in their future ventures. This way, they cannot learn from their own previous experiences. Realizing this fact, this project is focusing to assess the factors influencing the failure of other entrepreneurs, and based on that, to develop the measuring scale, that will help existing business to avoid potential failure. Analysis of the factors influencing SMEs failure and the possibility of their enhanced recovery has not been enough investigated in the region of Serbia. Through this project, we will analyze the reasons for SMEs failure in V4 countries, but also the potential for their recovery. Such obtained knowledge we will compare with situation in Serbia and then to developed useful model that will be of help of existing entrepreneur. Considering that the V4 countries are included in European region,and that their market conditions are far more developed compared to Serbian,we think that they will be valuable partners. Besides this,all those countries have passed through the transition process, similar to one which is still ongoing in Serbia.Experiences from V4 countries SMEs will be good example to SMEs in Serbia,for their future development targeting future inclusion in the EU market.To be able to collect the factors influencing failure and potential recovering of SMEs in Serbia and V4 countries,there will have to be clear connection in between representatives of academic institutions and SMEs.The main goal of project is promotion of the knowledge concerning new and original solutions existing in everyday business processes in SMEs from Visegrad countries that will be transferred to Serbian SMEs by defining the future activities of all partners and proposes solution for preventing SMEs failure.The specific goals are: exchange of experience and knowledge in the field of entrepreneurship and SMEs business and factors that can influence the failure,including external and internal factors in Visegrad countries and Serbia;exploring the possibilities of recovery after failure of the entrepreneurial business in Visegrad countries and Serbia;learning from successful entrepreneurs and developing the business model that can be of help for new SMEs;exchange of cultural experience between partners of V4 and other countries; exchange of students experience and workshops, as potential for their future cooperation. Why is it necessary to address the issue on a regional level? Entrepreneurs, teachers and students, as well as the entire region to which the project refer to will have benefits. Professors and students researchers will get in touch with SMEs from their regions and investigate if they have failure of their business activities in the past. Most important factors will be selected,which will assist in development of potential scale that will be used in prevention of active SMEs from failure. Based on estimated identified factors that have had an adverse effect on SME performance and that leaded to business failure, as well as factors having an effect of the level of recovery of SMEs after failure,the representatives of this project develop a measurement scale for assessment of probability of SME failure and offer a business model to solve this problem. Considering that EMD of TF Bor is located in the region where entrepreneurship is underdeveloped, one of our missions is to increase entrepreneurial spirit among youth and to increase the success rate of new established SMEs in the region.The results achieved in the last 15 years are justifying our mission,which referred to spread the scope and level of international cooperation as well as the knowledge transfer.These results oblige us to be even better,while future results will depend on our commitment to teaching,research,realization of project and in particular on the dedication to our students.Knowledge transfer is the main purpose and intention of the EMD, therefore the department’s mission is closely connected with the main goal of the project that through the promotion of the knowledge concerning new and original solutions propose preventive actions against SMEs failure. Members of EMD have necessary experience gained during implementation of the international projects. In 2007,the Department of Engineering Management was included in the HP GET-IT (Graduate Entrepreneurship Training Through Information Technologies) program. This program was originally developed by MEA-I from Switzerland, under support of HP. Technical faculty in Bor was the first institution that launched this program in Serbia. During 2011, the GET IT program has grown to a higher level-the LIFE program for the development of entrepreneurship. EMD of TFB still remained the partner institution of this program. 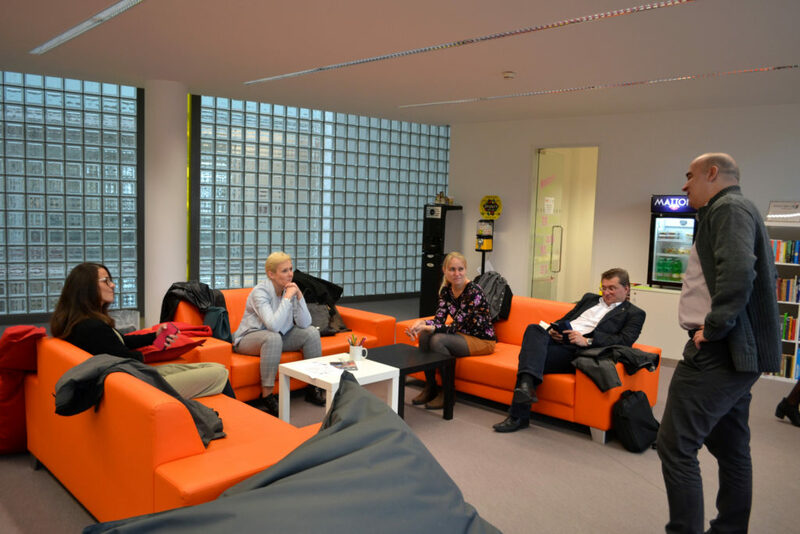 Also, significant international cooperation experience was achieved by participating in international academic network: “Resita Network-Entrepreneurship and Innovation”, sponsored by the DAAD Foundation. In May 2014, a project was approved: “Possibilities for development of business cluster network between SMEs from Visegrad countries and Serbia”, financed by the International Visegrad Fund. During April 2016, the project “Environmental awareness as a universal European Value”, financed by the International Visegrad Fund, was also approved. 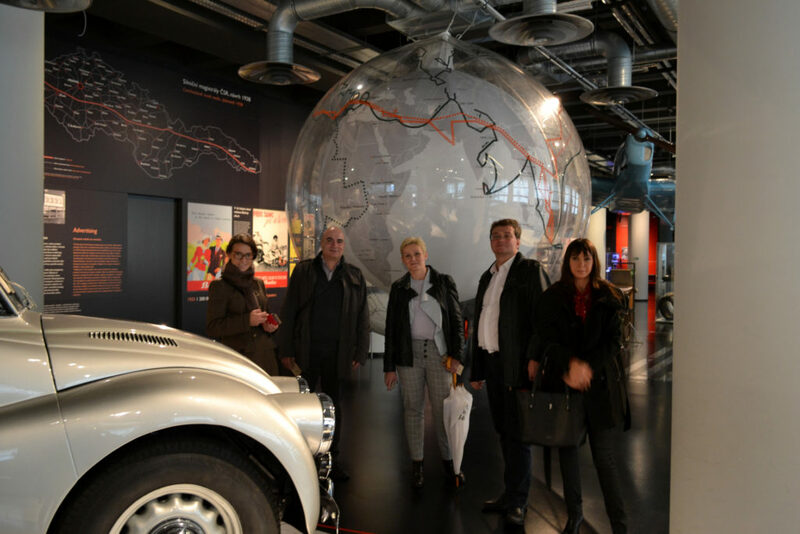 Through this international activities, mostly dedicated to development and growth of entrepreneurial ventures, representatives of EMD gained necessary experience in this practical field of operations management. Also, it was a solid base for research projects on this topic. All important news considering this project will be available here, until beginning of October. During October, new web platform will be developed that will also be dedicated to all result of the project.